Home (All Topics) → Technology → Internet → Is Everyone Tweeting Without Me? By	Meredith Haggarty. Last edited by Marios Alexandrou. Names have been changed, just because. Recently I found myself taking a solo trip to the top of the Empire State Building that only lasts a few minutes. Waiting alone in the long, tourist-filled line I tweeted a couple of jokes about how different the experience was from the movies, and bantered back and forth with friends and Twitter acquaintances about the pricey tickets and the compulsory commemorative photo. I was ushered into a crowded elevator, and, as we approached the 80th floor, my phone buzzed with a new @reply. I tried to read it, but tweets were unable to load. Someone had tweeted at me and I couldn't read it. What if it was really, really funny? Once we reached the top, with views of the entire city, all I could look at was my un-refreshable iPhone. I wandered miserably around the observatory, trying to get a signal, bumping into German children and accidentally photobombing a Japanese couple while grimacing at the unloadable page. I snapped a picture but couldn't Instagram it. After two unsuccessful rotations, I got in line to go back down. My fear of missing out — in just a few minutes! — was too strong. I had more important things to tweet than to see. Social media is a glutted space – there are ways to stay in touch with the guy from down the hall in your college dorm (Facebook) or your favorite C-list celebs (Twitter), ways to show off how your knack for design (Pinterest) or your brunch (Instagram), ways to track your movements (Swarm) or share your diet (MyFitnessPal, when used for evil). It's nearly impossible for one person to maintain an active presence across all of these sites, but that doesn't stop the pressure to connect. 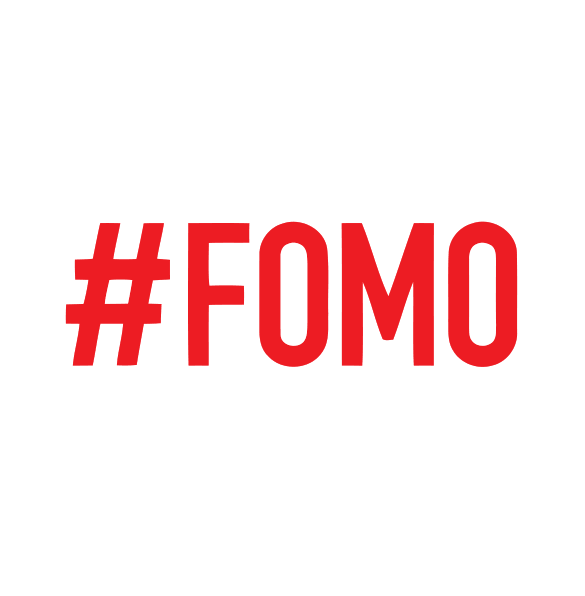 Studies show that 56% of social media users experience the fear of missing out, colloquially known as FOMO. Even when you decide to take a voluntary pass on a social network, that stress remains. Each network is designed to do something, and by not participating, you've ceded the online social experience of… whatever it is. But while Mindy took the hit for her career, avoiding social media can actually have a negative effect on the business propositions of others. “If you would have told me in 2007 how essential Twitter would be, I would have hung out there instead of Tumblr,” non-Tweeter Liam tells me. While so many others were RTing @Shaq and subtweeting their enemies, Liam was building an enormous following on Tumblr. But he realizes now that those lovable Tumblr followers aren't as valuable — career-wise — as ones on Twitter. The big blue bird's simple display of cache (number of followers minus number of followed = your social “worth”) renders it the most powerful platform for proving your Internet bona fides. Tumblr can't provide the same cred. If, for instance, Liam is being considered for a job or a panel, industry heavyweights “ain't looking at my one hundred thousand Tumblr followers – cause they can't see 'em.” While Liam prefers Tumblr's versatility and thoughtful user base to Twitter's brevity and excessively pithy arguments, Twitter's value is hard to argue. If someone follows you in the forest and no one is around to hear it, what are you guys doing in the forest? While some apps might be able to further your career, help you stay up to date with the latest news, or keep you current on ever-helpful pizza cake recipes, others offer services you may not even need – but that does nothing to stop FOMO. Despite her seven-year relationship, Emily, 32, says, “I feel really out of the loop when it comes to dating apps.” She has no desire to swipe left on her boyfriend, but admits, “It just makes me feel one hundred to hear about the new Tinder, or whatever. I assume that actually using [dating apps] is terrifying, but I feel left out when people talk about them knowingly.” So while she's achieved a happy romantic relationship – the theoretical intention of dating apps – she still wants in on the game. Worse yet, even if we don't feel like we're missing out, we may well be. Brian, 31, says that he refused to join Instagram for years, because he could just look up the accounts he wanted to see. How can you be afraid of missing out when you're not missing anything? But eventually he caved to the pressure, and claims it really has made a difference. “It's just such a happy medium,” he says now, “I'm glad I joined it and I wish I had a while ago – because I'd have so many more likes.” Brian is experiencing RANJE – regret about not joining earlier. It's not as catchy, but it's just as real, and those are likes he'll never get back. As the Empire State Building's elevator sped toward the ground, I realized that I had just wasted an iconic New York experience, pouting at a mobile device like a spoiled teen. It was too late to experience the view, to contemplate the city I live in and my place in it, to take a moment of enforced quiet reflection while surrounded by throngs of foreign strangers – all my intentions for taking the trip. The doors opened and my phone started to buzz again. I had six new tweets waiting for me, among them a pretty exciting job solicitation and a really great pitch idea from a friend. Another writer had tweeted to agree that the pitch idea was a great one. As I hastily typed “DIBS,” I breathed a sigh of relief. I wasn't going to miss anything else.